Sen. Kabiru Marafa, Chairman, Senate Committee on Petroleum Downstream, on Thursday, called on the Federal Government to pay outstanding fuel subsidy arrears to oil marketers, to avert strike. The call was made following a motion moved by Marafa, at plenary on Thursday. 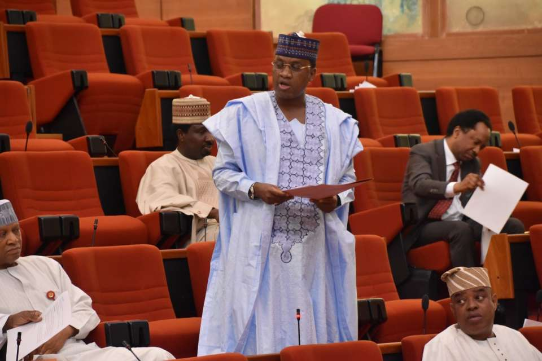 Marafa, while presenting the motion, said there was an urgent need to avert the looming strike due to non-payment of accrued subsidy arrears, to the oil marketers. 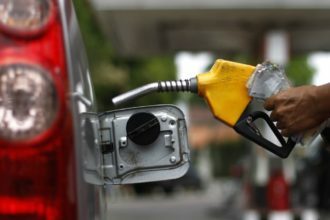 The News Agency of Nigeria (NAN) recalls that major petroleum marketers had on Nov. 30, threatened to go on nationwide strike if government failed to pay the money owed them. The marketers include- Oil Marketers Association of Nigeria, Depot and Petroleum Products Marketers Association and Independent Petroleum Products Importers. 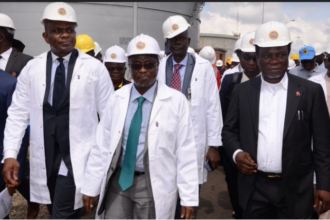 They gave the federal government seven days ultimatum, saying they would cease operations and withdraw their employees from all depots across the country at the expiration of the ultimatum. Marafa further said if not averted, the strike may lead to artificial fuel scarcity, which may span through the election period. “The National Assembly had processed and passed the President’s request on July 18 and July 24 and it was forwarded to the Ministry of Finance for payment. “After the passage of the executive request, the Debt Management Office (DMO) introduced very stringent measures for the issuance of the promissory note. “They included a document review, by an international accounting firm. “However, marketers objected to the processes and reacted by issuing a seven-day ultimatum from Tuesday Nov. 27, to DMO to pay,’’ he said. Marafa added: “They equally asked the DMO to adhere to the agreement reached at a meeting, with the Acting President, Prof. Yemi Osinbajo in June, 2017. “It is worrisome that the continuous delay in the payment of the arrears, has increased the debt from N429 billion, to close to N1trillion, between June 2017, to date. 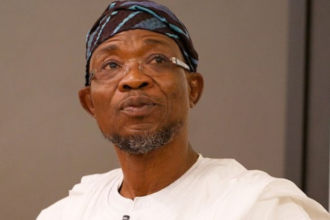 He prayed the senate to urge the federal government to urgently direct all concerned agencies, to immediately pay the subsidy arrears as approved by the Federal Executive Council (FEC). Contributing, the Leader of the Senate, Sen. Ahmad Lawan, who blamed the situation on previous government, alleged that those who are laying claim to the subsidy, were allies of the previous government. However, Sen. Ibrahim Danbaba (PDP-Sokoto) alleged that those within the present government are the ones sabotaging the process, adding that the matter had gone beyond National Assembly’s input. In his remarks, the Deputy President of the Senate, Mr Ike Ekweremadu, who presided over plenary, urged the federal government to engage the marketers.